Cracking your knuckles may aggravate the people around you, but it probably won't raise your risk for arthritis. That's the conclusion of several studies that compared rates of hand arthritis among habitual knuckle-crackers and people who didn't crack their knuckles. The "pop" of a cracked knuckle is caused by bubbles bursting in the synovial fluid — the fluid that helps lubricate joints. The bubbles pop when you pull the bones apart, either by stretching the fingers or bending them backward, creating negative pressure. One study's authors compared the sudden, vibratory energy produced during knuckle cracking to "the forces responsible for the destruction of hydraulic blades and ship propellers." Even if knuckle cracking doesn't cause arthritis, there's still good reason to let go of the habit. 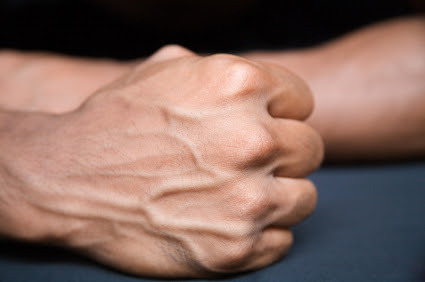 Chronic knuckle-cracking may lead to reduced grip strength. And there are at least two published reports of injuries suffered while people were trying to crack their knuckles. 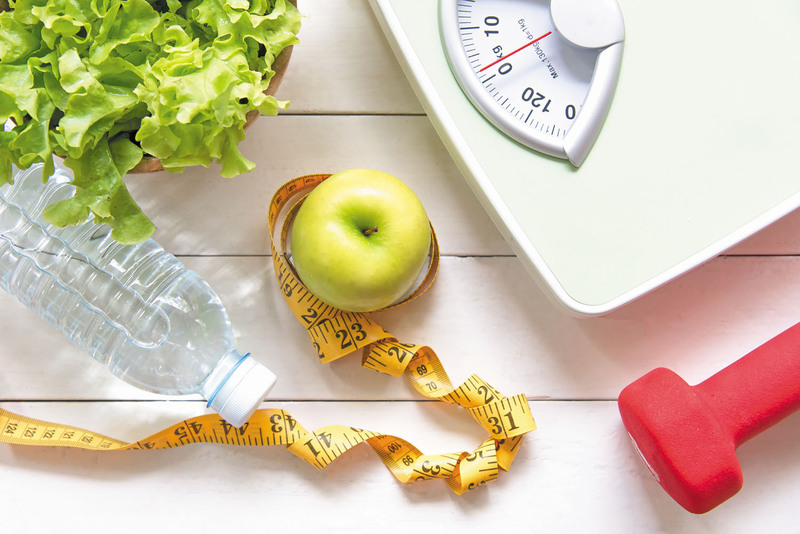 Over the years, research has shown that healthy dietary patterns can reduce risk of high blood pressure, heart disease, diabetes, and certain cancers. 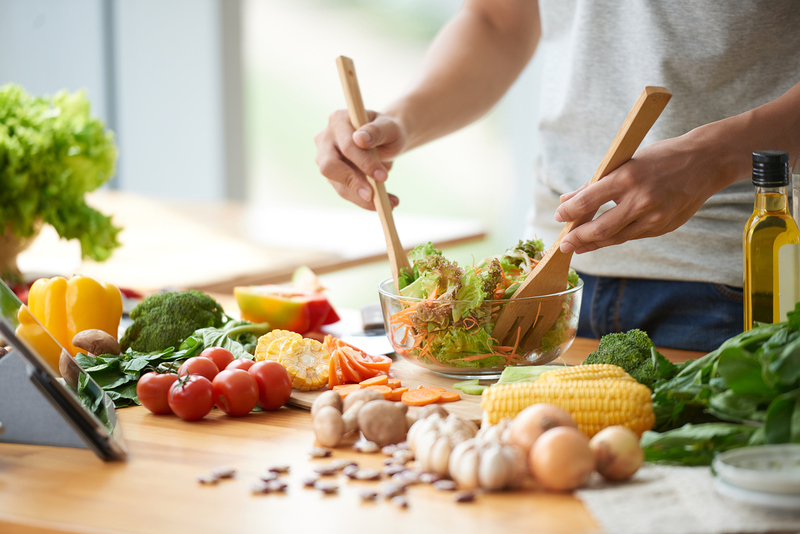 Dietary patterns such as the DASH (Dietary Approaches to Stop Hypertension) diet and the Mediterranean diet, which are mostly plant-based, have demonstrated significant health benefits and reduction of chronic disease. However, there are a few foods that can be singled out for special recognition. 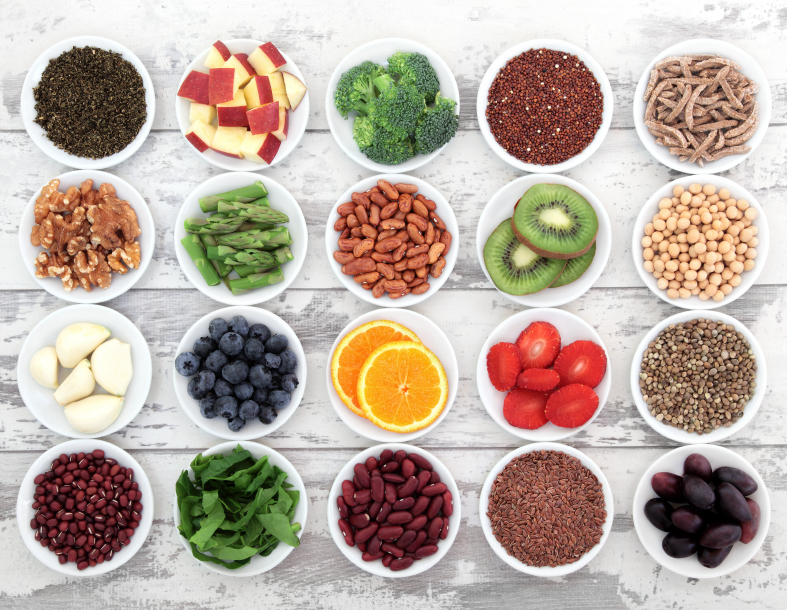 These “superfoods” offer some very important nutrients that can power-pack your meals and snacks, and further enhance a healthy eating pattern. Berries. High in fiber, berries are naturally sweet, and their rich colors mean they are high in antioxidants and disease-fighting nutrients. How to include them: When berries are not in season, it is just as healthy to buy them frozen. Add to yogurt, cereals, and smoothies, or eat plain for a snack. Fish. Fish can be a good source of protein and omega-3 fatty acids, which help prevent heart disease. How to include it: Buy fresh, frozen, or canned fish. Fish with the highest omega-3 content are salmon, tuna steaks, mackerel, herring, trout, anchovies, and sardines. Leafy greens. Dark, leafy greens are a good source of vitamin A, vitamin C, and calcium, as well as several phytochemicals (chemicals made by plants that have a positive effect on your health). They also add fiber into the diet. How to include them: Try varieties such as spinach, swiss chard, kale, collard greens, or mustard greens. Throw them into salads or sauté them in a little olive oil. You can also add greens to soups and stews. Nuts. Hazelnuts, walnuts, almonds, pecans — nuts are a good source of plant protein. They also contain monounsaturated fats, which may be a factor in reducing the risk of heart disease. How to include them: Add a handful to oatmeal or yogurt, or have as a snack. But remember they are calorically dense, so limit to a small handful. Try the various types of nut butters such as peanut (technically a legume), almond, or cashew. Nuts are also a great accompaniment to cooked veggies or salads. Olive oil. Olive oil is a good source of vitamin E, polyphenols, and monounsaturated fatty acids, all which help reduce the risk of heart disease. How to include it: Use in place of butter or margarine in pasta or rice dishes. Drizzle over vegetables, use as a dressing, or when sautéing. Whole grains. A good source of both soluble and insoluble fiber, whole grains also contain several B vitamins, minerals, and phytonutrients. They have been shown to lower cholesterol and protect against heart disease and diabetes. Yogurt. A good source of calcium and protein, yogurt also contains live cultures called probiotics. These “good bacteria” can protect the body from other, more harmful bacteria. How to include it: Try eating more yogurt, but watch out for fruited or flavored yogurts, which contain a lot of added sugar. Buy plain yogurt and add your own fruit. Look for yogurts that have “live active cultures” such as Lactobacillus, L. acidophilus, L. bulgaricus, and S. thermophilus. You can use yogurt in place of mayonnaise or sour cream in dips or sauces. Cruciferous vegetables. These include broccoli, Brussels sprouts, cabbage, cauliflower, collard greens, kale, kohlrabi, mustard greens, radishes, and turnips. They are an excellent source of fiber, vitamins, and phytochemicals including indoles, thiocyanates, and nitriles, which may prevent against some types of cancer. How to include them: Steam or stir-fry, adding healthy oils and herbs and seasonings for flavor. Try adding a frozen cruciferous vegetable medley to soups, casseroles, and pasta dishes. Legumes. This broad category includes kidney, black, red, and garbanzo beans, as well as soybeans and peas. Legumes are an excellent source of fiber, folate, and plant-based protein. Studies show they can help reduce the risk of heart disease. How to include them: Add to salads, soups, and casseroles. Make a chili or a bean- based spread such as hummus. Tomatoes. These are high in vitamin C and lycopene, which has been shown to reduce the risk of prostate cancer. How to include them: Try tomatoes in a salad or as a tomato sauce over your pasta. You can also put them in stews, soups, or chili. Lycopene becomes more available for your body to use when tomatoes are prepared and heated in a healthy fat such as olive oil. Weight loss can be challenging, but there are some strategies for success. If you're struggling to lose weight, you probably feel like the odds are stacked against you. You're not necessarily wrong. "There is so much great-tasting food, and it's abundant and in your face all the time. To me it's kind of a miracle that people aren't even heavier than they are," says Dr. Meir Stampfer, a professor of epidemiology and nutrition at the Harvard T.H. Chan School of Public Health. In addition to an abundance of food, most people today also have a far more sedentary lifestyle than past generations. "Even active people who exercise a lot aren't expending the calories their ancestors did," says Dr. Stampfer. So, while losing weight is simple in theory — reduce your calorie intake — it's not easy in practice. "If you put people into a locked metabolic ward and feed them only 60% of their usual caloric intake, they will lose weight. But for free-living people that's really hard," says Dr. Stampfer. But as hard as it is to shed pounds, the bigger challenge may await if you are successful. 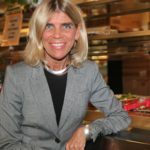 "It is relatively more difficult to maintain the loss," says Dr. Lu Qi, adjunct professor of nutrition at the Harvard T.H. Chan School of Public Health. This is particularly true for women after menopause. "When people get older, it becomes difficult to dissipate the energy from foods. They need to modify their eating habits — to follow healthier patterns," says Dr. Qi. "It's challenging to change any habits, including eating habits." People today view food as far more than just sustenance. Eating is a source of gratification; it's a social activity; it's a reward. This is why many diets work in the short term but fail later on. "Many diets are a radical shift from what people normally eat, and this is not sustainable," says Dr. Stampfer. But don't throw your hands up and resign yourself to keeping those extra pounds. There are strategies that can help you chip away at excess weight. Below are some simple tips that you can use to get the scale moving in the right direction — and keep it there. Don't diet; improve your diet. Don't focus your eating solely on weight loss; focus on overall health. Follow a diet that is rich in fruits, vegetables, and healthy fats. "Even today, after all the data that we have, people still think that eating fat makes them fat, and they try to find low-fat products," says Dr. Stampfer. "That has been very well debunked. Eating fat doesn't make you fat. There are good studies that show eating healthy fats helps people control their weight better than diets than exclude them." Over all, choosing a sustainable diet that is focused on health and not just weight can help you make lasting improvements. "Adopt a healthy diet, and eat just a little bit less," says Dr. Stampfer. Exercise regularly. This has been said a million times, but it can't be emphasized enough: boosting your activity level can help you lose weight and keep it off. "For most people, long-term weight control is hard without some physical activity," says Dr. Stampfer. Your metabolism slows with age, which means you burn fewer calories to keep basic body functions going. At the same time, bone and muscle mass decline and fat mass increases. This insidious pattern happens naturally as you get older unless you take steps to avoid it. "I'm a strong advocate of not just aerobic activity but also weight training and calisthenics," says Dr. Stampfer. "Muscle building can not only bring up your body's metabolic rate, but also bring its own distinct health benefits that are often not as well appreciated as those associated with aerobic activity." Try a variety of strategies. Different diets work for different people. Sometimes finding the right strategy takes trial and error. One approach that holds promise for many is mindful eating — taking the time to stop and really focus on and enjoy your food. "The scientific evidence to my eye is meager, but I like the concept," says Dr. Stampfer. "We've all had that experience of eating a bowl of something and not even remembering having eaten it." Another simple trick is to put your fork down between bites instead of holding it in your hands. Pick it up when you are going to take the next bite. Persevere. Losing weight is really hard to do, and many people fail many times before they succeed. Don't give up. Each day, commit to eating a little bit less, says Dr. Stampfer. If you go off track, recommit the following day and keep at it over time. Taking blood pressure in both arms may reveal a higher heart attack risk. TRUE: You should measure blood pressure in both arms. A difference of 10 points or more means a 38% greater chance of having a heart attack — something you should talk to your doctor about. Coated aspirin is better if you are taking it daily for your heart. Dietary fat wreaks havoc on your heart and your memory. FALSE: Not all dietary fat wreaks havoc on your heart and memory. Saturated fat (in butter and red meat) can harm both memory and artery health while monosaturated fats (in olive oil and fish) actually improve both memory and heart health. Low back pain is one of the most common complaints on the planet. And you may wonder where to turn when you start experiencing some of those aches or twinges in the lower part of your back. Take heart. "In most cases, you won't need a specialist," says Dr. Robert Shmerling, a rheumatologist at Harvard-affiliated Beth Israel Deaconess Medical Center. There are many causes of low back pain. Some of the most common include an injury to a muscle or tendon (a strain), an injury to a back ligament (a sprain), and a herniated or "slipped" disc (when the soft material inside of a disc between spinal bones leaks and irritates nerves). Many of these issues will eventually resolve on their own. 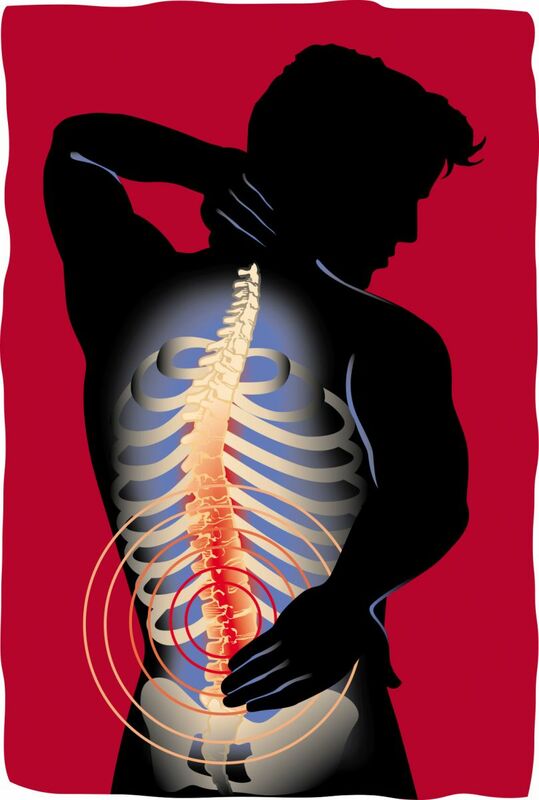 But some causes of low back pain, such as a narrowing of the spinal canal (spinal stenosis), may require a specialist. "A referral makes sense when conservative measures have failed to address your back pain, symptoms aren't improving or are getting worse, or there's a suspicion that surgery might be needed," says Dr. Shmerling. Since you shouldn't try to diagnose your own back pain, make your first call to a professional who can assess your problem, such as a primary care physician or a chiropractor. "Both can serve as the entry point for back pain," says Dr. Matthew Kowalski, a chiropractor with the Osher Clinical Center for Integrative Medicine at Harvard-affiliated Brigham and Women's Hospital. "And 35% to 42% of people with their first episode of back pain will consult a chiropractor." Chiropractors use posture exercises and hands-on spinal manipulation to relieve back pain, improve function, and help the body heal itself. They often work in conjunction with other doctors, and they can prescribe diet, exercise, and stretching programs. "A well-trained chiropractor will sort out whether you should be in their care or the care of a physical therapist or medical doctor," Dr. Kowalski explains. A neurologist, a doctor specializing in treatment of the nervous system. "Back pain is commonly associated with lower-extremity symptoms, such as numbness and tingling. These symptoms can also be caused by neurological conditions that are not spine-related, such as multiple sclerosis. Neurologists are great at sorting this out and offering solutions," says Dr. Kowalski. A physiatrist, a doctor with expertise in physical medicine and rehabilitation. "This may be helpful for back pain related to a sports injury, if surgery is not needed, and when medications are not working," says Dr. Shmerling. A rheumatologist, a doctor who treats diseases of the joints, muscles, and bones. "Referral is most appropriate when there is inflammation of the joints in the back, or if the back pain might be related to an inflammatory disease, such as psoriatic arthritis," explains Dr. Shmerling. A pain management physician, a doctor who can prescribe medications, provide injections, and consider other approaches. "People with symptoms that aren't responding to treatment are great candidates for pain management, such as injections or procedures to smaller joints in lower back," says Dr. Kowalski. And you may need more than one expert managing your back pain. It just depends on the situation. "Most people who see more than one expert have more than one problem or have not improved with prior treatments," says Dr. Shmerling. But for back sprains, strains, and herniated discs, a visit to your primary care physician or chiropractor may be all it takes to feel better. Make that initial call if back pain is interfering with your day.